20x24 Canvas Giclee fine art reproduction. A visual story of the crazy drinking and flappers in the prohibition Jazz age. Art use for a popular Magazine Cover of the time "Gay Parisienne". 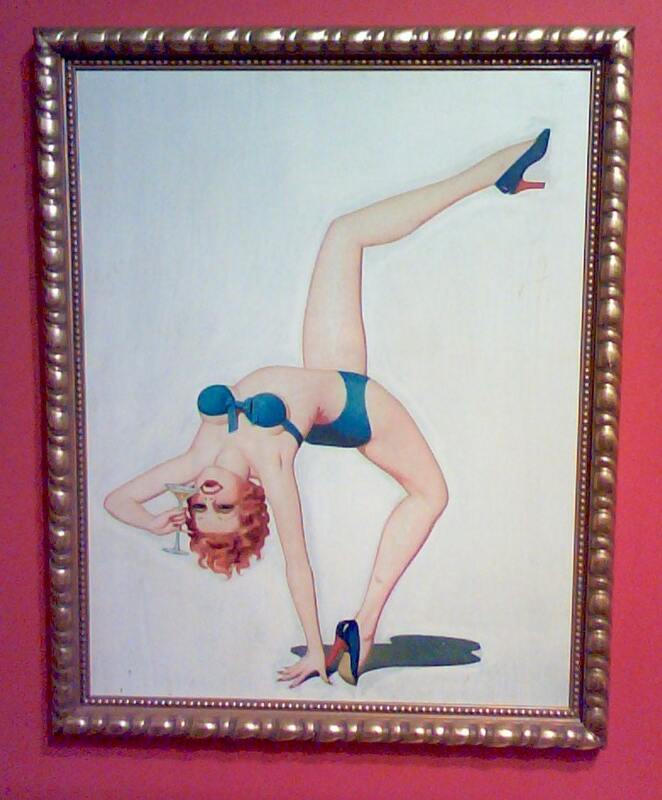 This art was made from the rare original vintage 1920s painting, also shown in the Vanguard Gallery. Hurry, Only 75 piece edition. Enoch Bolles (3 March 1883 – 16 March 1976) was an American painter of pin-up art. 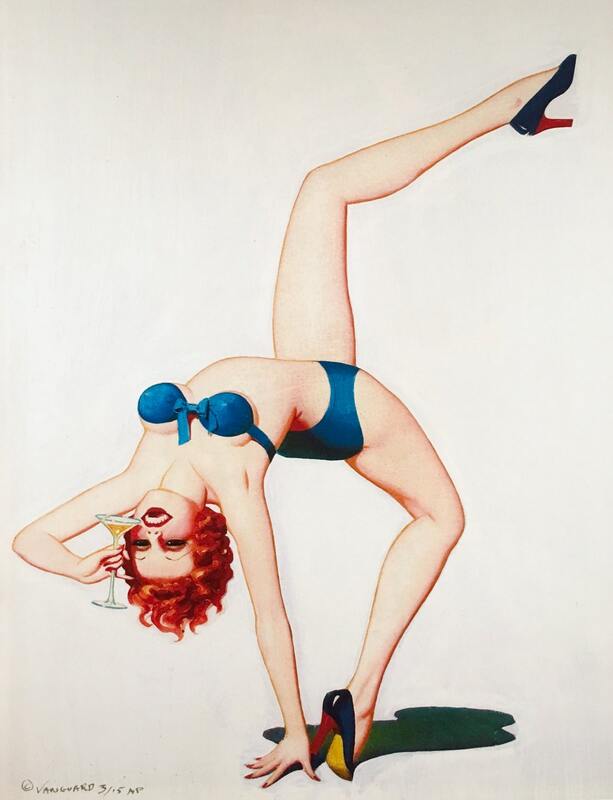 He was among the earliest and most widely circulated glamour illustrators. While known today solely as a pinup artist, Bolles was a versatile illustrator who also worked extensively in the advertising industry, creating hundreds of attractive color illustrations for products . Bolles was born in Boardman, Marion County, Florida, the son of Enoch Bolles, Jr., a chemist in the perfume industry, and Catherine Keep. 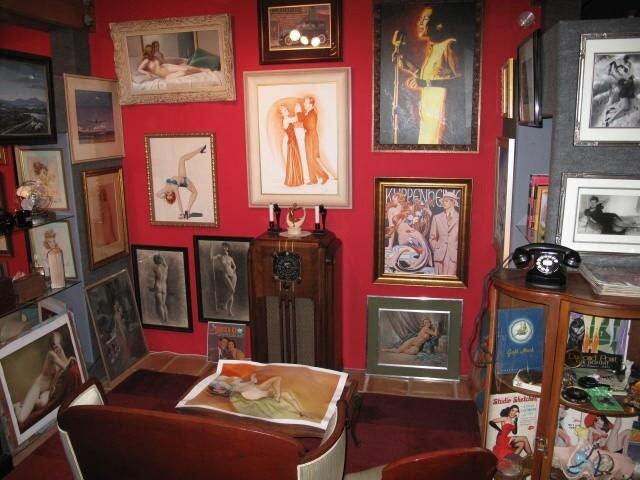 After his father's death, the family moved to Newark, New Jersey, where he met and, in 1903, married Clara Kaufman. They had eight children together, eventually settling in Harrington, New Jersey. Bolles studied at the National Academy of Design, and his first illustrations were published in 1914 on the covers of joke books, such as Judge and Puck. He became best known for illustrating Film Fun. In 1923 he became the exclusive cover artist for Film Fun and continued in this role until the magazine folded in 1943, a victim of the Postmaster General's campaign against 'salacious' material. In addition to his 200 covers for Film Fun, Bolles painted at least 300 more for spicy pulps, including Breezy Stories, Pep and New York Nights. None of this work was signed and most of it remains unattributed. Bolles' monthly lineup of all-American beauties precisely posed in wildly imaginative costumes did much to define the future of American pin-up illustration, and remain popular today. He was also a versatile illustrator who created advertising for many products, including Sun-Maid Raisins. Psychological problems ended Bolles professional career in 1943 and confined him to Greystone Hospital in New Jersey for most of the rest of his life, but he continued to paint commissioned portraits and for personal pleasure. He was eventually discharged from hospital in 1969, and died from heart failure at the age of 93. Art from. Cover Illustration for Gay Parisiene Magazine Image from the 1920s. Art from the original painting.